I always love to party with mu friends and family. Life is just too hard to live, it has become damn hectic now days. We do not find time for ourselves in day long routine. But that’s not a good approach at all. It is good to work hard, but sparing some time purely for yourself is also pretty essential. We keep bringing you numerous recycling ideas from the common things that are abundant in our surroundings. We give them new life by recycling them. 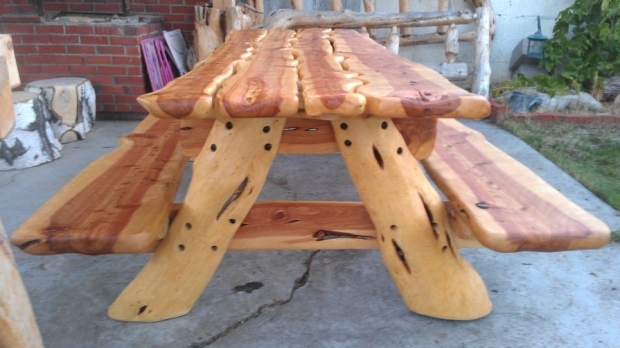 Today we bring you something different, a wood carved picnic table. 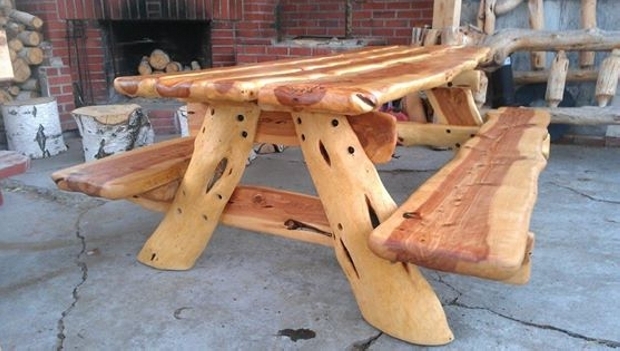 The table we are talking about right now is quite different from the regular tables we see in our daily life. As we named it as a party table so it should be designed accordingly. It should not look like general common wooden tables that we normally use as a side table. This should look quite casual and user friendly as well. We have also given the basic idea about its pattern, it would be carved. Though the carving gives the wooden objects a formal look, but the pattern of carving we would be using here is little different, its casual. 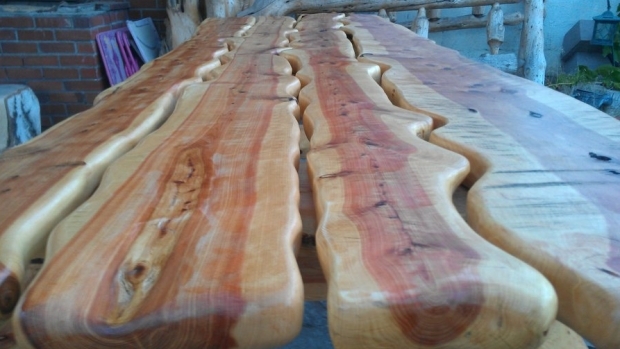 Now look at the project of the day, its legs are very different from the common tables, they are just the cut to size tree slabs, cut in a sloppy shape, and joined straight away with the table top. And on each side there is a built in sitting space for a large number of people. These benches are inter linked, and the corners are rounded off very smartly. Some good sanding is done and it is left unstained in its natural rustic color. 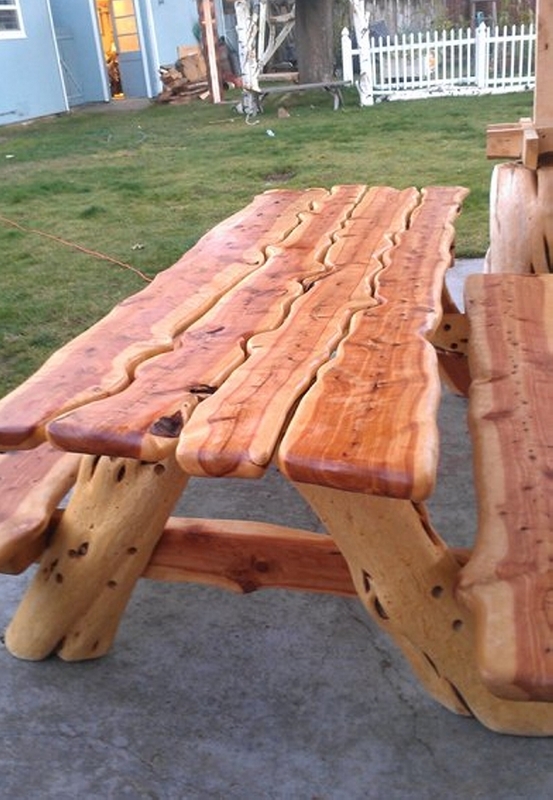 While on the top there is a zig zag carving on each plank, an adorable wood carved picnic table is all at your disposal.